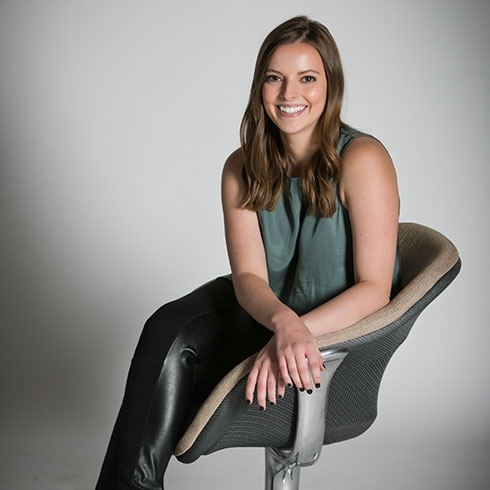 Fiercely creative, Maddie thrives on distilling complicated information into inspired storytelling solutions. She digs deep to understand the intricacies of her clients’ businesses and to recognize opportunities for strategic brand growth. Her ability to adapt and synthesize consistently produces creative that delivers. Her work has secured distinction from the Academy of Interactive & Visual Arts and Awwwards. Maddie graduated from Southern Methodist University as a Meadows Scholar, where she earned degrees in studio art and psychology and a minor in statistical science. Before joining Slant, she consulted for startup companies and small-business owners with projects spanning from complete brand development to website design. Maddie was the first full-time hire recruited out of Slant’s competitive internship program. She has since managed the program and now spearheads the firm’s learning and development initiatives. Credit her upbringing in Minnesota and Colorado for a love of the outdoors; she finds solace in spending time near the water or in the mountains. On weekends, she can be found traveling to an inspiring destination, critiquing Rolling Stone's music lists, or cheering on the SMU Soccer team.